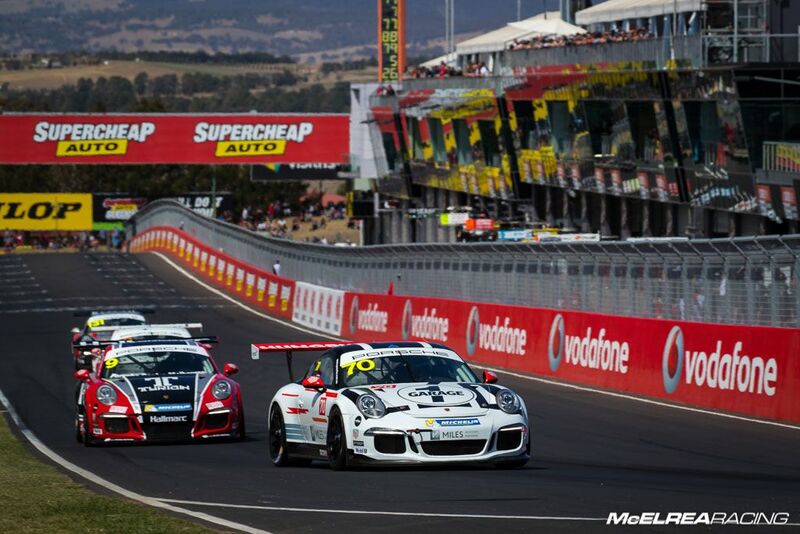 We always look forward to the renowned Bathurst weekend. 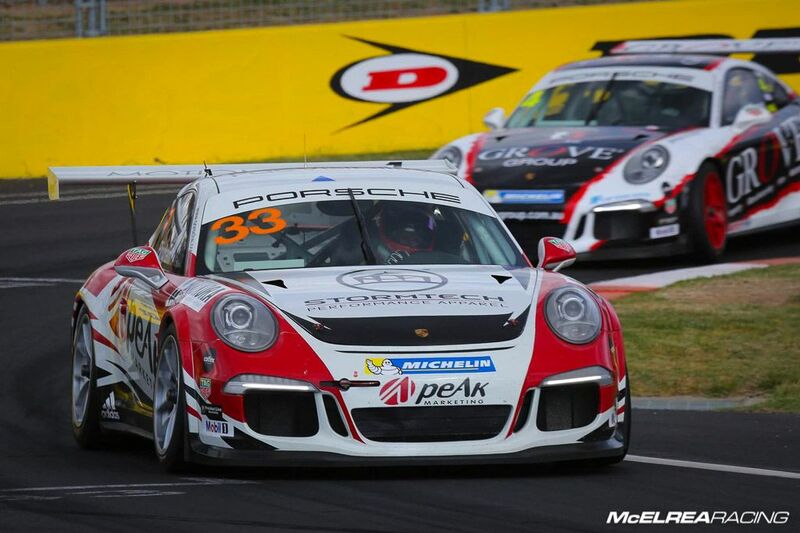 Everyone knows how unforgiving the famous 6km track is; but despite that, MR has a remarkable run of success, winning 5 of the 6 last Carrera Cup rounds since 2011. 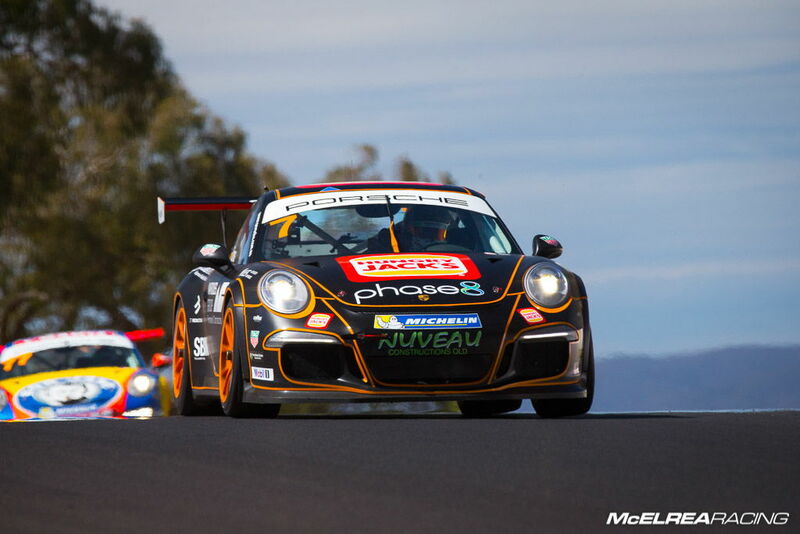 We also finished second outright and won the Pro-Am class at this year's Liqui Moly Bathurst 12 Hour. Despite our previous success, we knew we still had our work cut-out for us. 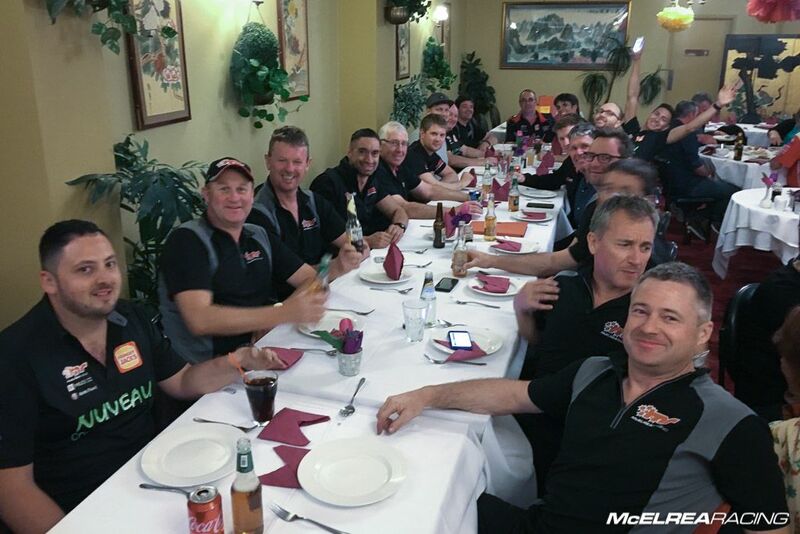 Our MR 'Works Driver' Warren Luff was on hand to coach our drivers at the world-famous Mt Panorama Circuit. Jaxon was disappointed to qualify 5th after being 2nd until the final minute while his second set of tyres didn't quite get up to optimum temperature. He got a good start and put together a forceful first lap to get ahead of McBride. He worked hard to get ahead of Heimgartner during the first half of the 16 lap race while his tyre pressures were superior, but the second half of the race his strategy changed in order to preserve the car and settled for 4th place. 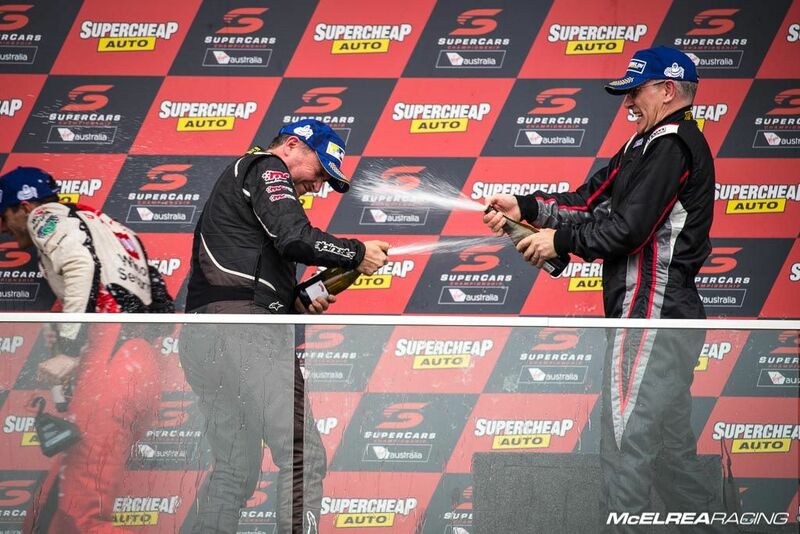 In race 2 Jaxon started on the second row and had an epic battle with Alex Davison including an outside pass at turn 2 on lap 1, then the pass of the season with two wheels on the grass at 280 kph! 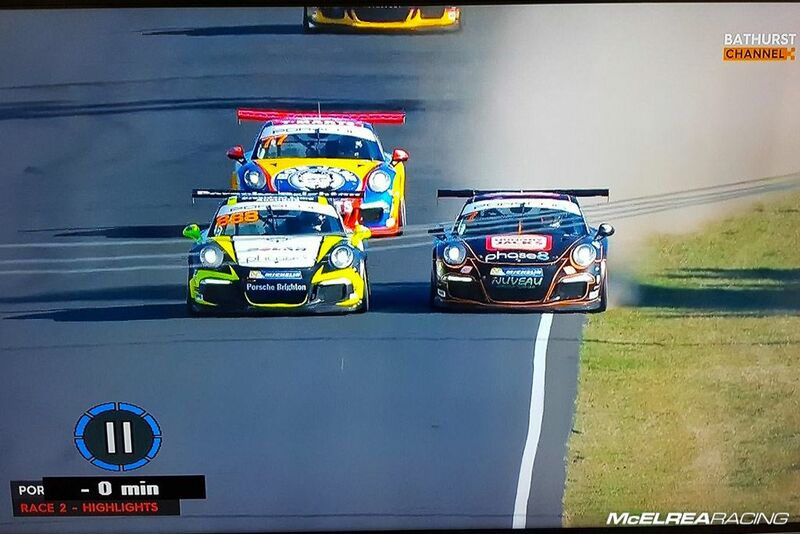 He ended up in the gravel after getting caught out at the last corner. 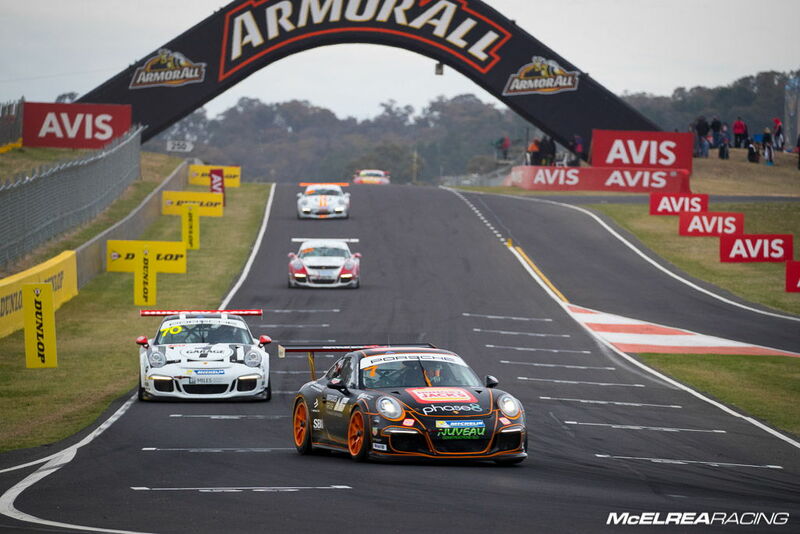 In race 3 he started 16th and did a terrific job to carve through to 6th by the end of the race. Like Sandown, Tim qualified 3rd in Elite class. In race 1 he got a decent start and survived a torrid first lap which saw Steven Grove and Max Twigg find the wall at turn 2. Once the safety car returned to the pits he drove a measured race to capitalise on his track position and ensure that he took the valuable points for a race win. In race 2 he drove a solid race and posted the fastest Elite lap time while heading off Elite championship leaders Grove and Cini. In race 3 Tim was under strict instructions to keep it clean and finish off the weekend in style. His job was made a bit easier when Grove and Cini tripped over each other at turn 1, but he kept his cool to take his first Elite round win. 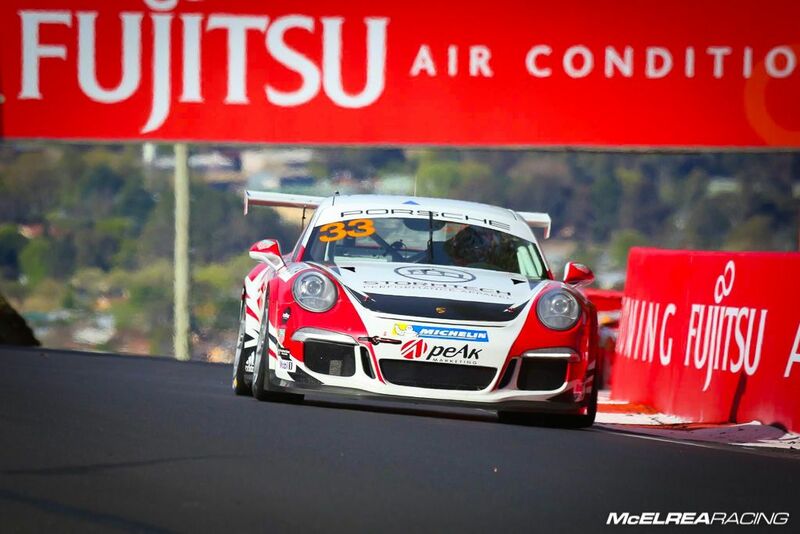 This was Simon's first visit to the daunting Mt Panorama circuit so our expectations were realistic, as they are for all of our Bathurst rookies. Although there were interruptions, the 50-minute practice session on Thursday helped him get a good grip on the treacherous layout. Simon qualified 12th in Pro class. In race 1 he had what looked like a quiet race but we were very satisfied with his pace and his continued development and pace. In race 2 he started 12th and had a relatively quiet race but made use of the track time to make continued improvements and familiarity with the track. What another crazy weekend at 'the mountain'! 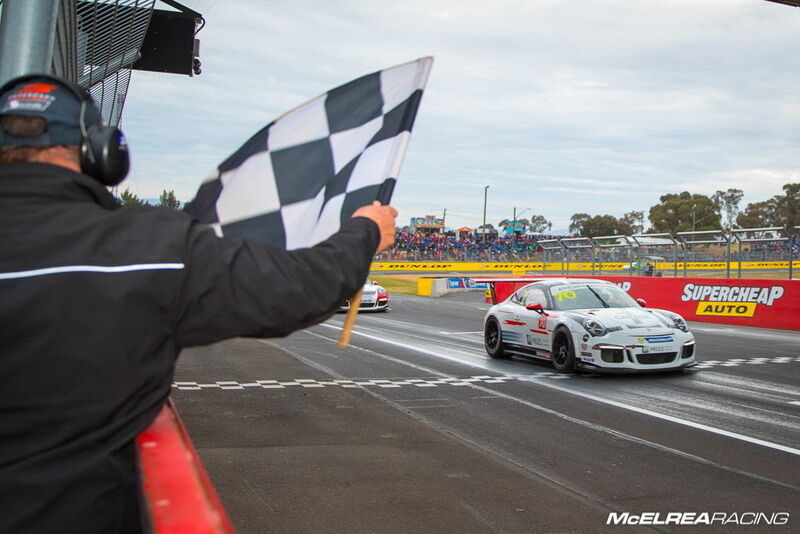 Tim did a great job by qualifying well which kept him out of the trouble with the other Elite class drivers in race 1 and 3 and he was duly rewarded with his first round win. Jaxon didn't quite have the weekend he was after for various reasons, but was undoubtedly the hero of the weekend after his fearless outside passes in race 2 and overtaking 9 cars in race 3. Simon continued his development putting together a consistent weekend and is driving the best he has in his short career. Like most Bathurst rookies, he would love to start the weekend all over again, now he has had a few hours driving this epic race track. 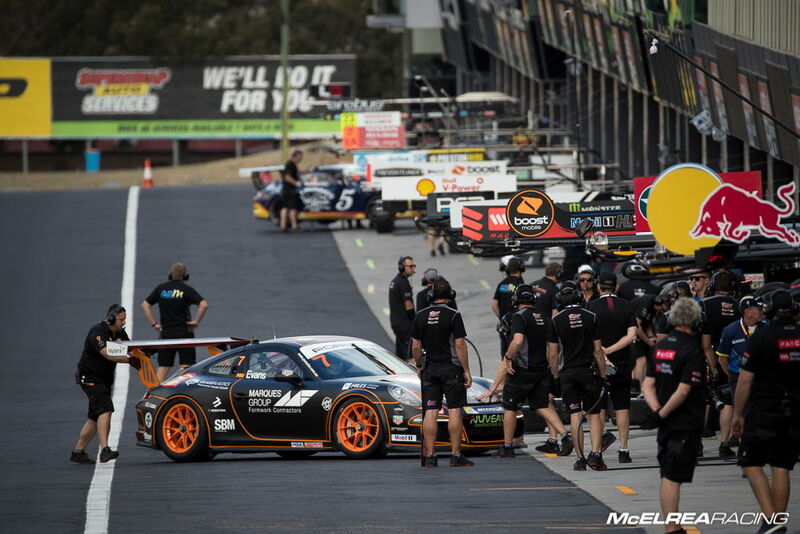 The awesome MR crew will now turn their attention to Fraser's McLaren for round 3 of the Australian Endurance Championship at Hampton Downs in NZ at the end of October.